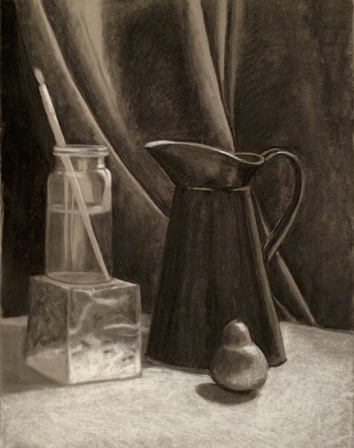 Note: I acknowledge that this was created during the general drawing first year class, @ Adelaide Central School of Art. 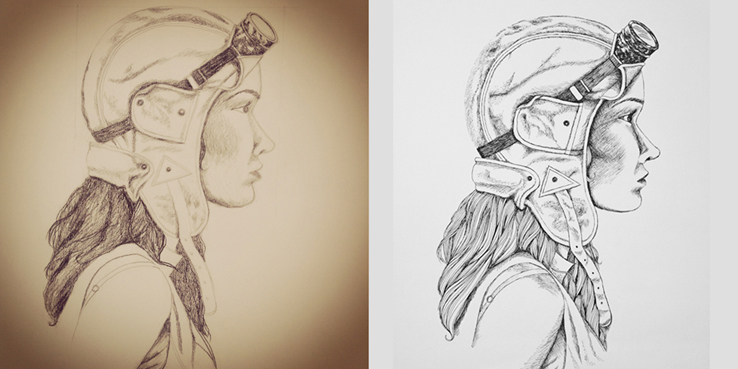 Two completely different illustration styles for my aviator woman. Left one is oil charcoal pencil, and one on the right fine pen line. Aviator gear: courtesy Army Disposal store Wellington New Zealand.